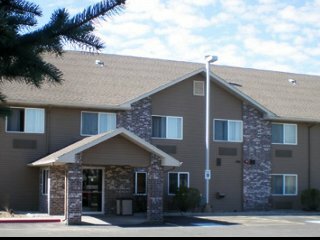 The Quality Inn and Suites Twin Falls sits in the best location in the Magic Valley: just across the street from the Snake River Canyon! Whether you're passing through on I-84 or Hwy 93 or making Twin Falls your destination, our welcoming staff will treat you like family from your very first visit. 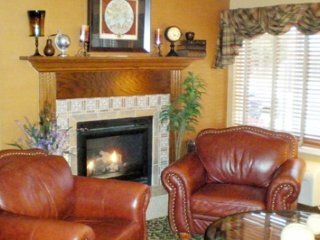 We go the extra mile to make you feel comfortable, from free daily newspapers and free hot homestyle breakfast to advice on what to visit during your Twin Falls stay. Many guests add an additional night to their stay once they discover all the area has to offer! You can walk right out our front door and arrive at the Snake River Canyon rim walking trails. Watch as base jumpers launch from the Perrine Bridge almost every day of the year or visit the Evel Knievel Snake River jump site or Shoshone Falls. InIdaho has been partnered with Twin Falls hotels and motels for about 21 years. 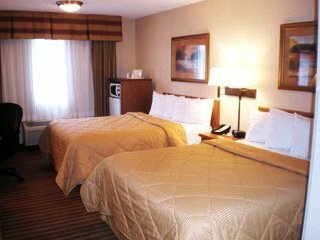 We guarantee the lowest prices for Quality Inn and Suites Twin Falls reservations. 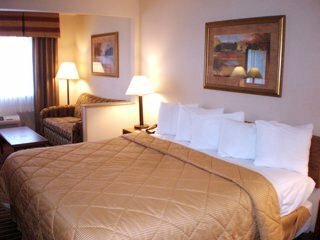 Our local idaho business is staffed by friendly and efficient employees who appreciate that you choose to make your reservations for Quality Inn and Suites Twin Falls with us. Our rates are always the same or lower as calling the Quality Inn and Suites Twin Falls direct. 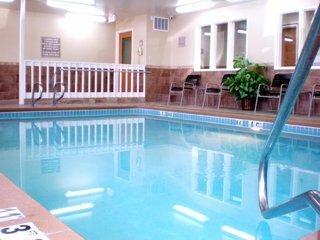 We also offer group rates for Quality Inn and Suites Twin Falls - just contact us! Directions: I-84, exit 173, South 3 miles on Hwy 93 to Twin Falls. Hotel is on right, after crossing Snake River Canyon and Visitor Center. We do not have any current pre-built packages for Quality Inn and Suites Twin Falls . This guest suite offers a king bed, sofa sleeper, microwave, refrigerator, coffee maker, hairdryer, iron & iron board and flat screen TV w/HBO. 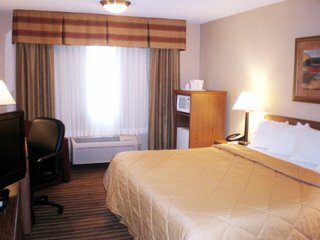 This guest room offers two queen beds, microwave, refrigerator, coffee maker, hairdryer, iron & iron board and flat screen TV w/HBO. 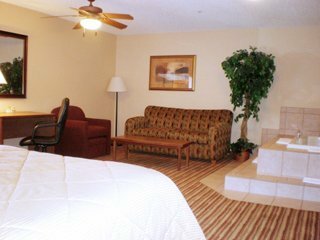 This guest room offers a king bed, microwave, refrigerator, coffee maker, hairdryer, iron & iron board and flat screen TV w/HBO. 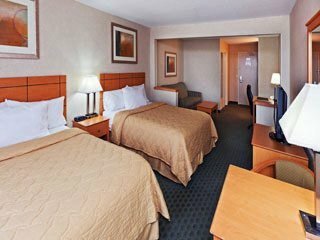 This guest room offers a queen bed, microwave, refrigerator, coffee maker, hairdryer, iron & iron board and flat screen TV w/HBO. This guest suite offers a king bed, whirlpool tub, microwave, refrigerator, coffee maker, hairdryer, iron & iron board and flat screen TV w/HBO. This guest suite offers two queen beds, sitting area with a sofa sleeper, microwave, refrigerator, coffee maker, hairdryer, iron & iron board and flat screen TV w/HBO. This guest suite offers a king bed, sitting area with a sofa sleeper, whirlpool tub, microwave, refrigerator, coffee maker, hairdryer, iron & iron board and flat screen TV w/HBO. Please note: Guest reviews may mention certain amenities that may no longer be offered with Quality Inn and Suites Twin Falls. Please check the amenities prior to booking to confirm.